A trust is often used in estate planning as a method for management of assets long-term. Those trust assets are transferred into the trust. With irrevocable trusts, the transfer is permanent, meaning that the grantor (the person who creates the trust) must give up all control and ownership of the property. 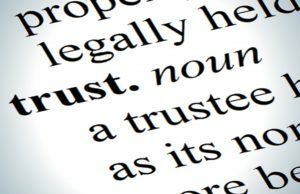 Because the trust is considered irrevocable, it typically cannot be modified in any way after the trust has been executed. However, California trust laws provide for the modification of irrevocable trusts under very particular circumstances. Despite its inflexible nature, an irrevocable trust still has certain benefits simply because the grantor must give up control of the property. Most people choose irrevocable trusts in order to avoid estate taxes on the property that is transferred. 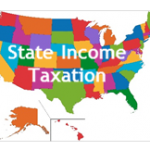 Another reason to choose an irrevocable trust is to eliminate the income that may be generated by the trust property so income taxes can be kept to a minimum. Yet another important benefit is the protection from liability that an irrevocable trust can provide. Because the grantor no longer owns the property it will be protected from creditors and legal judgments. Finally, as with all trusts, the property included is not required to go through the probate process at the time of your death. That means the property can be more easily and quickly distributed to your beneficiaries. A split interest trust is basically an irrevocable trust that is designed to provide income to one set of beneficiaries for a period of time and then provide income to a separate set of beneficiaries at a later time. One example of split interest trust is a charitable remainder trust, which pays the grantor, or in some cases a family member, an annual income for a certain number of years. The remaining property is then designated to be given to a chosen charitable beneficiary. Another type of split interest trust is the grantor retained income trust or GRIT. 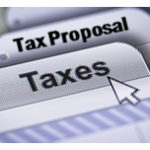 This type of trust can reduce gift taxes on the transfer of assets to subsequent generations. With a grantor retained income trust, the grantor retains an income interest in transferred assets for a number of years, and which time the assets are distributed to the remainder beneficiaries. Another split interest trust, a qualified personal residence trust, allows the grantor to transfer his or her personal residence to the trust, while retaining exclusive use of the residence for a set number of years. Even with the specific trust language that makes it irrevocable, a trust in California can still be drafted with certain provisions that allow for modifications under special circumstances. For example, you can have a trust protector which is a disinterested fiduciary, such as an accountant or attorney, who has limited management authority. California trust laws also allow modification in a number of circumstances, usually with court approval. An irrevocable trust can be modified under special circumstances, if all beneficiaries agree, by petitioning the probate court. The basic requirement is that all the beneficiaries, or at least one beneficiary and the grantor, consent to the specific modifications. One common situation is when the trust needs to be amended because the principle has become too low to support administration. An irrevocable trust can also be modified to conform to changing tax laws or when a charity named as the beneficiary has changed its structure. The trustee of an irrevocable trust is the individual(s) or institution(s) identified by the grantor to manage and administer the trust. In other words, the trustee is expected to take all steps necessary to ensure the provisions of the trust are complied with. Whenever the grantor intends for the trust to be used to remove assets from his or her estate, then the grantor cannot be the trust. The grantor cannot be involved in any decisions regarding how the trust property is used or how the distributions are made. Instead, a trustee must be chosen to manage the trust assets pursuant to the grantor’s directions as set out in the trust document. Some clients choose to name a family member or trusted friend as trustee, while others hire a lawyer or accountant to serve in this capacity. California courts typically hold trustees to a very high standard, as they are expected to be sensible, trustworthy and unbiased. The trustee is expected to protect the trust property, report to the beneficiaries, diversify all investments, keep accurate and complete records, and defend the trust against any viable legal claims. 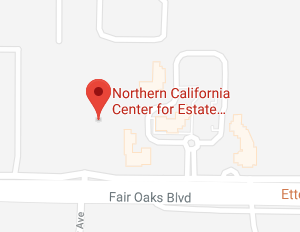 If you have questions regarding irrevocable trusts, or any other estate planning needs, contact the Northern California Center for Estate Planning and Elder Law for a consultation, either online or by calling us at (916) 437-3500.